Morgenröte Im Aufgang (Aurora at its rising or The rising of Dawn) by Max Hopp, Jan Korthäuer, Ronald Steckel and Klaus Weingarten is a cinematic hommage to Jacob Böhme (1575 – 17 November 1624), a German Christian mystic and shoemaker. He was considered an original thinker by many of his contemporaries within the Lutheran tradition, and his first book, commonly known as Aurora, caused a great scandal. directed by Max Hopp, Jan Korthäuer, Ronald Steckel and Klaus Weingarten. | German | 81 min. 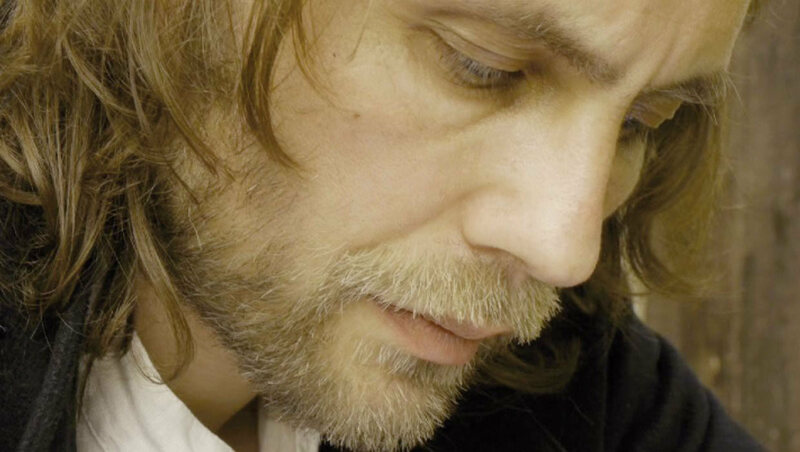 One of the directors, Mr. Ronald Steckel, will join the evening. It is a great pleasure to announce Madame Elga Sorbas, formal Member of the Rainer Maria Fassbinder Ensemble, as our special guest for this evening. MORGENRÖTE IM AUFGANG – die filmische Hommage an den Mystiker und Philosophen JACOB BÖHME, bringt uns einen der tiefsinnigsten Menschen, die je gelebt haben (E. Bloch) und doch den meisten Deutschen gänzlich unbekannten großen Geist nahe, dessen bedeutendsten Schriften bis heute faszinieren. philosophisches Werk, ohne das die deutsche Romantik und die deutsche idealistische Philosophie undenkbar wären, ist der Entwurf einer reichen und bis heute in ihrer Tiefe nicht ausgeloteten Anthropologie, Kosmologie und Naturphilosophie. Kein Dokumentarfilm, kein Spielfilm, kein Essay, — eine eigen-artige filmische Verführung zur Erfahrung unserer zweiten Wirklichkeit, — eine filmische Meditation von zeitloser Wahrheit. 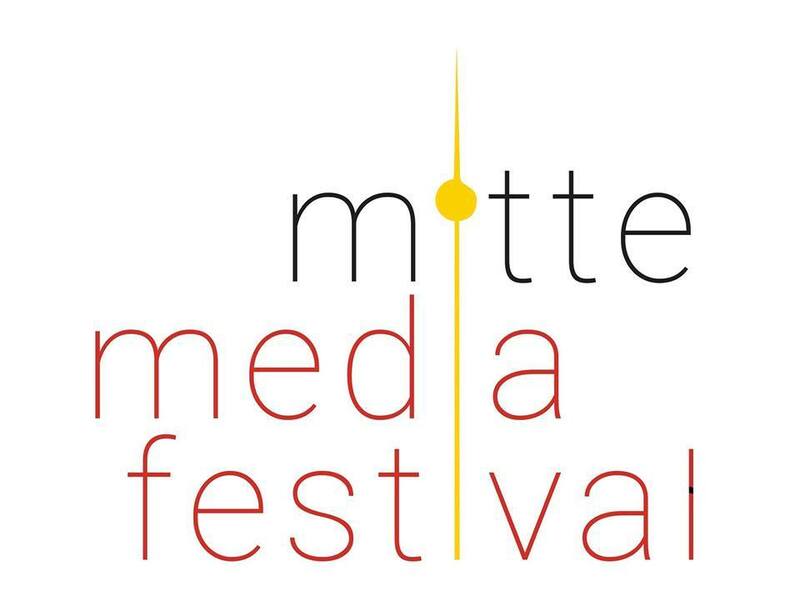 Weit mehr als Unterhaltung, bietet der Film, durch seine Botschaften, reformatorische, weltbewegende Kraft. Er ist Offenbarung, gibt Sinn, ist Politik, bietet gedankliche Räume und schafft Orientierung. Der Berliner Regisseur Ronald Steckel hat, gemeinsam mit den Filmemachern Max Hopp, Jan Korthäuer und Klaus Weingarten, aus der Kraft des “böhmschen Geistes”, in dessen feinster Präzision deutscher Sprache, ein anmutiges, würdiges, geistreiches Filmgemälde geschaffen, gleichsam einmalig für die gesamte Filmgeschichte. Der Film erhielt 2016 den Deutscher FILMGEIST Preis, verliehen vom FILMGEIST Freundeskreis e.V. und den ROSA MARS FILMPREIS 2016. Einer der Regisseur Herr Ronald Steckel, wird persönlich anwesend zu sein. 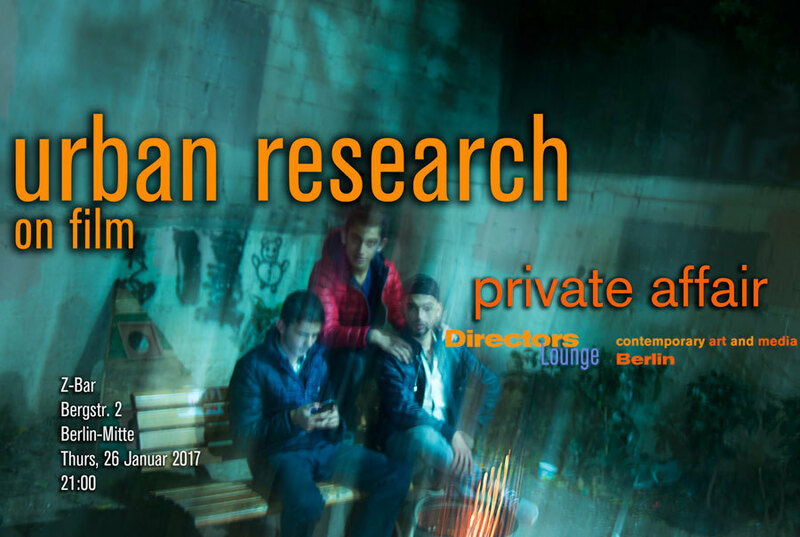 In Zusammenarbeit mit der Roten Loge und Filmgeist Freundeskreis e.V. 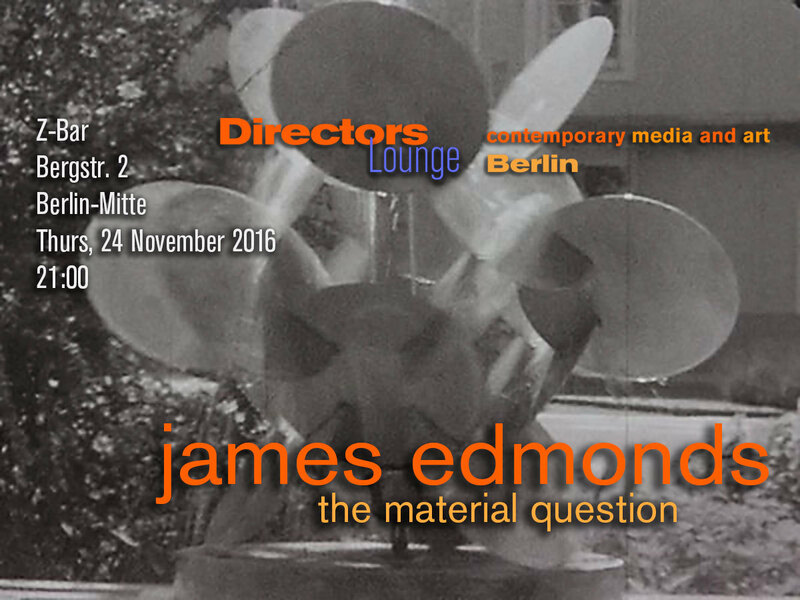 James Edmonds is an artist filmmaker from the UK living in Berlin and London. 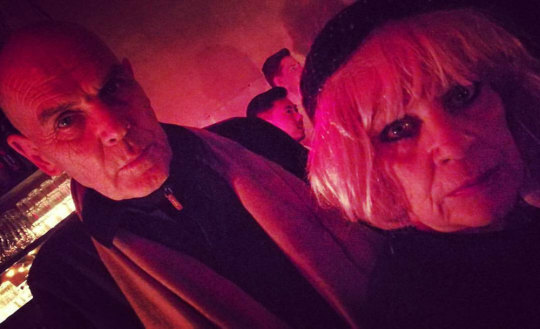 His practice centers on a personal poetics in which the nature of recording, when approached from the materiality of analogue film, offers a tangible surface for what is intangible and fleeting – our personal experience, inner worlds, thoughts and reflections. 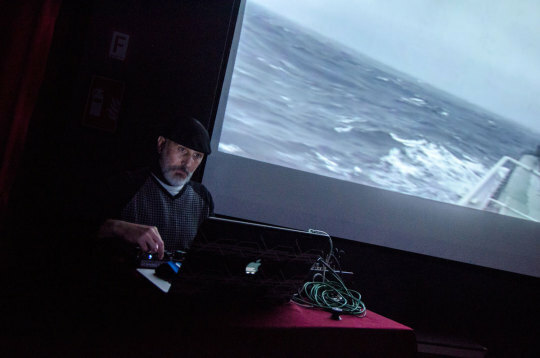 He has presented screenings and exhibitions at various venues, project spaces, galleries and cinema events, including Fronteira Festival Brasil, The Temenos Screening Kino Xenix Zurich, Another Vacant Space Berlin, Mystetskyi Arsenal Lavra Kiev and ACCEA Armenia. 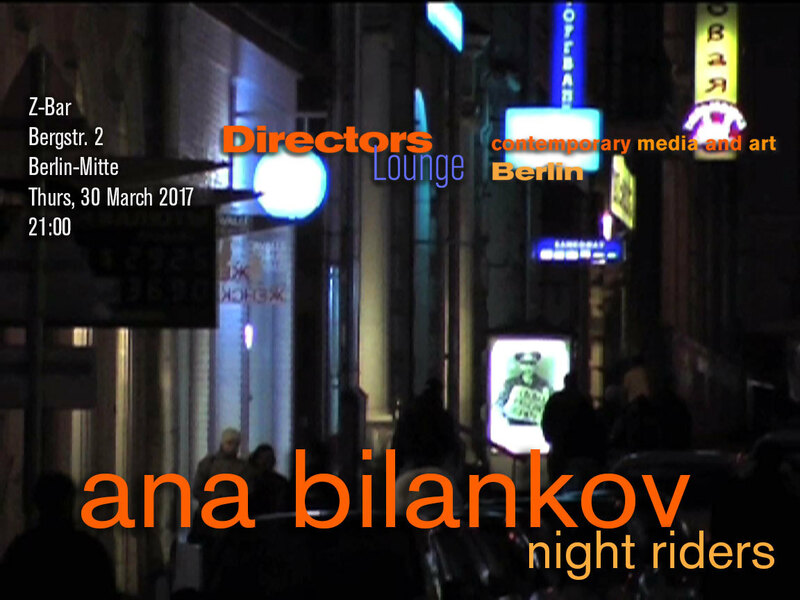 Since 2015 he also curates the monthly film series Light Movement in Berlin. 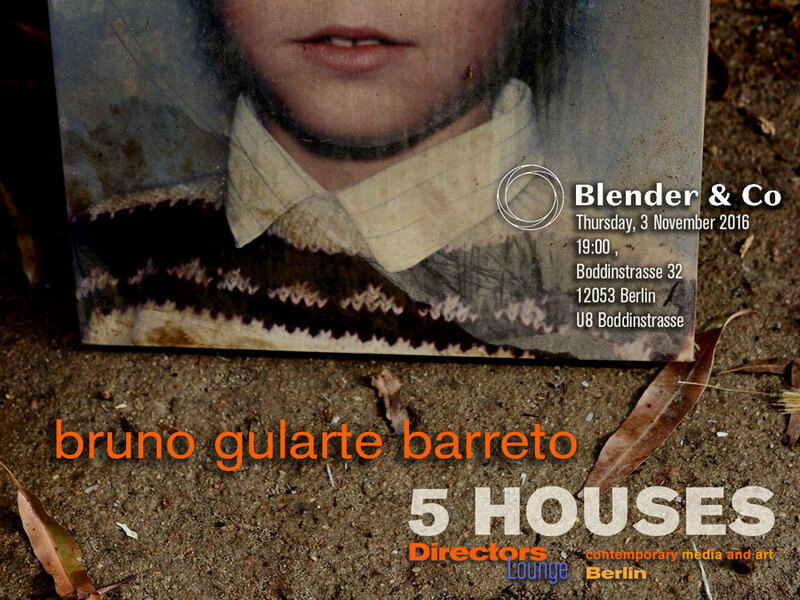 The Brazlian director and photographer Bruno Gularte Barreto comes to Berlin to present his new film project “5 Houses”. 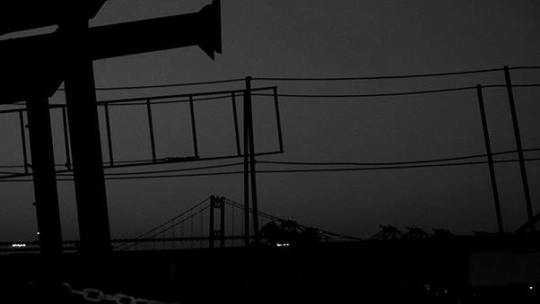 The idea of “5 Houses” revolves around trying to recreate childhood memories’ images, but it is also a journey through the lives of the people in a small town in the extreme south of Brasil. 5 HOUSES is a feature documentary project portraying the houses and lives of 5 different characters. They talk about life and death, memory, education, prejudice, violence and share their experiences and beliefs. Though they are very diverse people, they share a connection in their relationship with the director`s childhood memories. Each person and house to be portrayed was part of his upbringing throughout his childhood and formative years. Besides being part of the same array of memories, these characters share another characteristic: the fact they are all, in their own way, “outsiders” in the somewhat narrow-minded place where they live. During the film, a portrait is revealed, an image of the city itself and the way some people, even-though humble, can help change other people’s lives for the better. In the last house we have a fifth character, who is actually present in the other four segments in the figure of the director – an invisible observer who frames and chooses where, what and who to look at. Original title: 5 Casas, English title: 5 Houses. 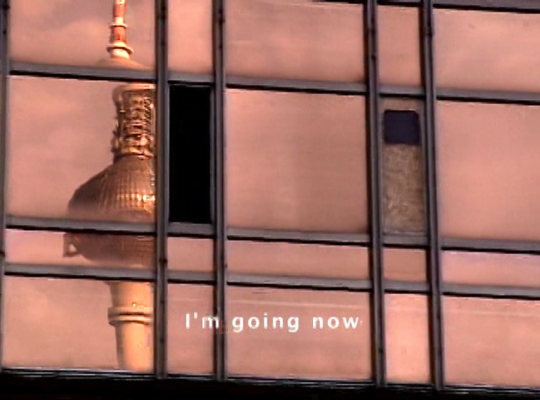 Two young artists who recently moved to Berlin present their experimental video work. On a first view their work seems to be very similar as they use associative techniques of montage and editing, and both demand an active viewer who positively combines and completes the offered pictures to their own interpretation or, story. This applies specifically to two of the films, “The Space In Between” by Melissa Faivre and “State of the Art of the State – a Dysfunctional Machine“ by Deborah Uhde. 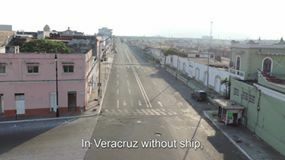 Both films seem to work with loosely connected images, which do not easily combine as a story and are brought together by rhythmic editing and a poetic film language. 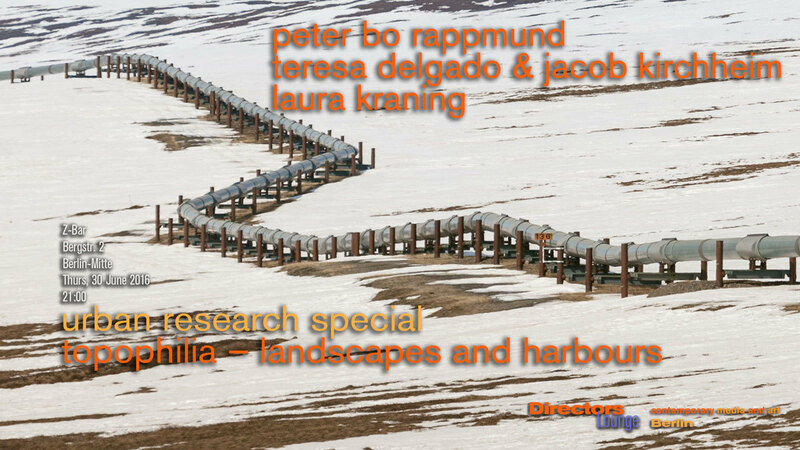 Both films deal with spacial relations, with the space between people and objects, between objects and exterior or interior space and the space between camera and subject. 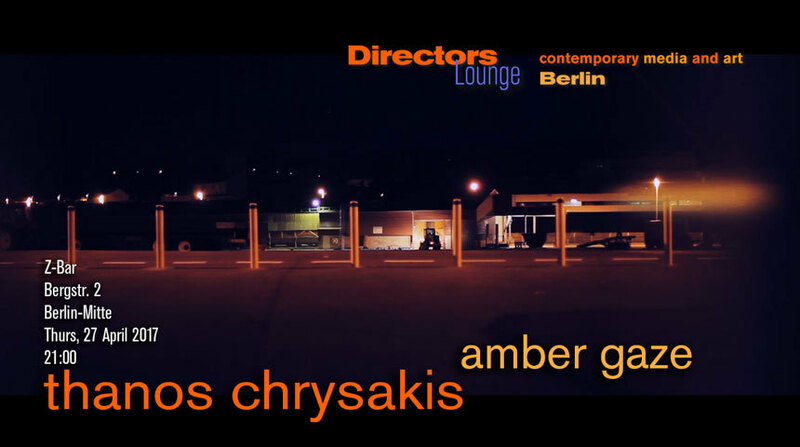 The film by Melissa Faivre shows two domestic spaces and two people interacting in those spaces, mostly using cameras. One of the spaces has a large bed, a makeshift steel frame and two windows, the other one lots of electronic equipment. The reason for the interaction stays obscure, it may just be a spacial exploration. The gazes from and to the camera distorted by analogue and digital means to reveal secrets about the place or the people or about their relation and it creates some suspense. The interaction seems to follow some performative rule. The viewer is not really asked to analyze the fragments but to put together the pieces of distorted and rhythmically edited information to some visual-poetic experience. Deborah Uhde’s piece “State of the Art of the State – a Dysfunctional Machine“ seems to be made of pieces of information about a space in a very different way. Views of a science campus, the “physikalisch-technische Bundesanstalt Braunschweig”, are being combined on a double screen and edited in associative ways. The rhythm of the pictures is slow and seems to follow the pace of a documented research, the cataloguing and search for art on the campus as the subtitles state. However, we rarely get to see art, at least no paintings or sculptures but strange constellations of buildings, containers, rulers, marks and construction signs, any of which could be part of some art project but very unlikely is so. The one object that looks very much like a modernist sculpture, a steel object that combines spheres and poles, apparently is an object for measurement as the viewer is informed by subtitles. 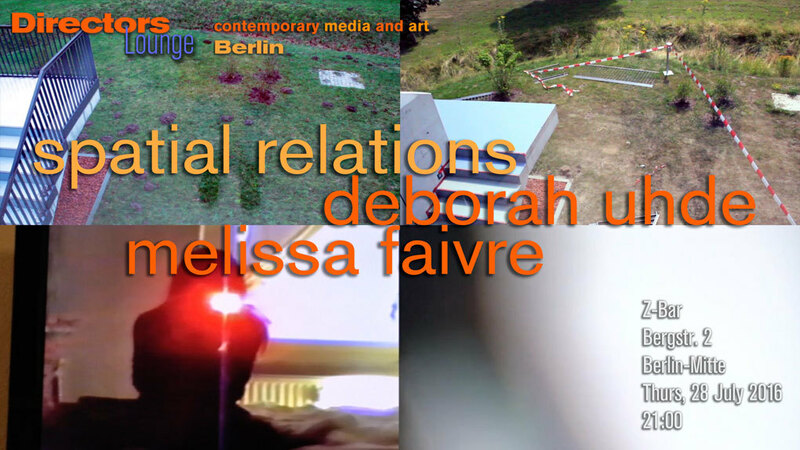 Deborah’s film thus combines spatial views in a poetical and rhythmical way, but then it seems, she rather asks the viewer to critically engage and make their own distinctions between aesthetic and utilitarian spatial use. 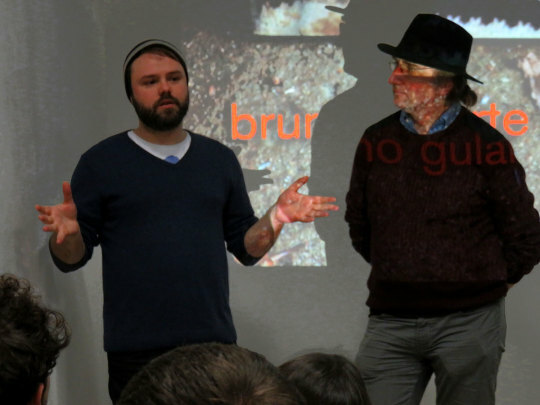 Both filmmakers present a number of very different films, set between the documentary and experimental forms. 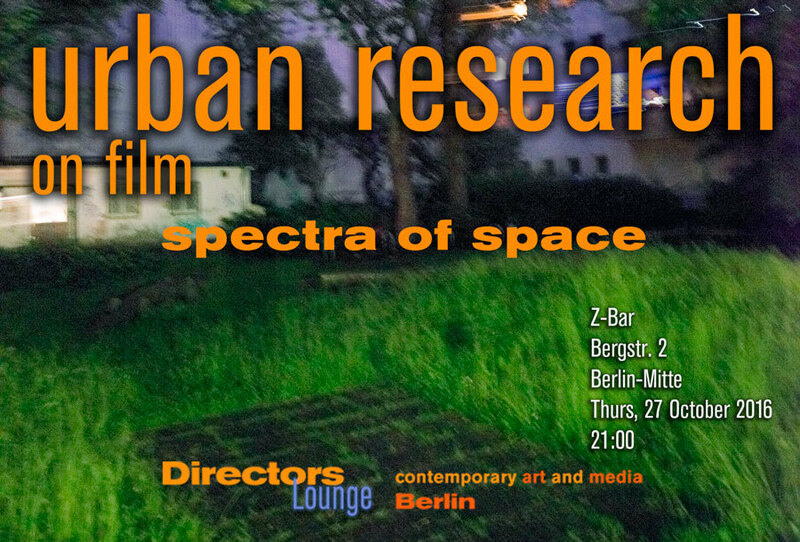 A program of very fresh new experimental films from filmmakers living in Berlin and coming from France/Netherlands and Braunschweig/Germany.